Microsoft has announced the second generation of its Surface RT tablet, simply called the Surface 2. It now boasts a full HD screen, features updated internals and has a new two-stage kickstand aimed to make it easier to use on your lap. The biggest upgrade on the Surface 2 tablet is its new 1080p display. With a resolution of 1920x1080, it's a significant upgrade over the original Surface RT's 1366x768 display. Microsoft says the panel itself is optically bonded to the surface of the screen, aiming to improve sunlight legibility outdoors. The 10.6in, 1080p screen should also mean a significant improvement in displaying crisp and clear text, a major criticism of the original Surface. The Surface 2 looks very similar to the original model in terms of design. Microsoft says that its goal was not to "reinvent the wheel", but simply make the tablet better. The biggest design change is a new two-stage kickstand, which can be set at two different angles. The new angle, pushed back further than the original one, makes it easier to use the Surface 2 on your lap, Microsoft says. Despite the improvements and additions, the Surface 2 is slightly thinner and lighter than its predecessor. Microsoft says it didn't try to "reinvent the wheel" with the Surface 2, only improve it. The Surface 2 two retains a full-size USB port, but it has been upgraded to USB 3.0 for faster file transfers with a compatible device. Microsoft has also improved the front facing camera (3.5-megapixels) and the rear facing camera (5-megapixels): both are able to capture full HD 1080p video. Unfortunately, the Surface 2 is only available in Wi-Fi models, so there's no 4G option available. The Microsoft Surface 2 tablet will be available in 32GB and 64GB models and will sell for $529 and $639 in Australia, respectively. 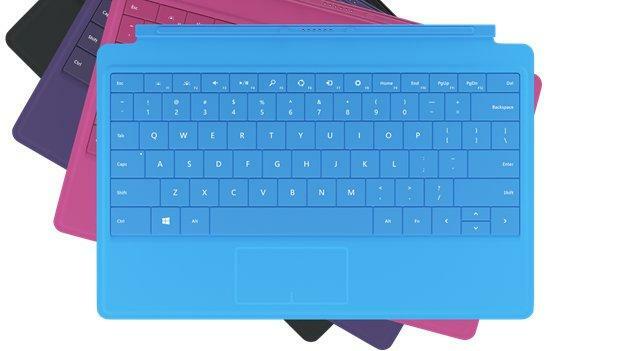 The Surface 2 and new Surface accessories will be available to purchase from Tuesday, 22 October through Microsoft's online store and though Harvey Norman and JB Hi-Fi retail stores and other authorised Surface commercial resellers. 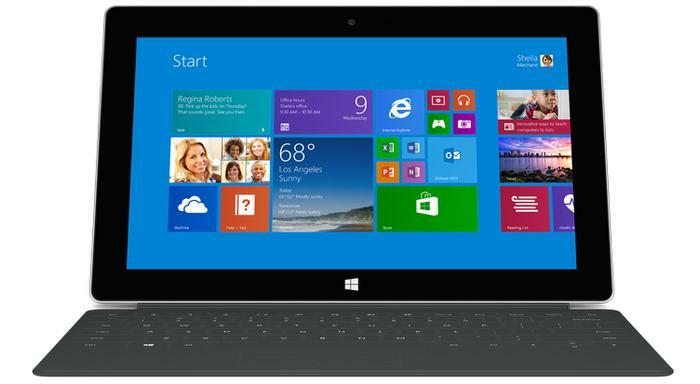 A promotional video of the Microsoft Surface 2 can be viewed below.